Formative assessment is a must for educators, but it can be difficult to juggle with all the demands on a busy teacher’s to-do list. 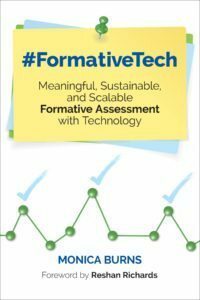 #FormativeTech shows how technology tools can energize teacher practice by providing easy ways to implement formative assessment every day. In this book you’ll find tips to make formative assessment meaningful, sustainable, and scalable.